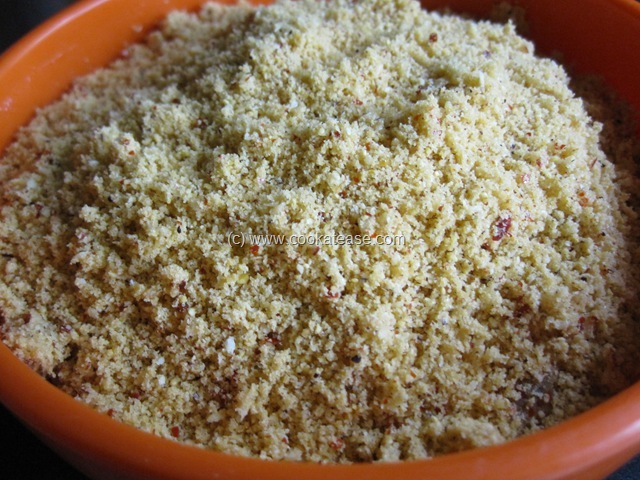 South Indian cuisine has many variety of podi (spiced powder) to suit steamed rice. 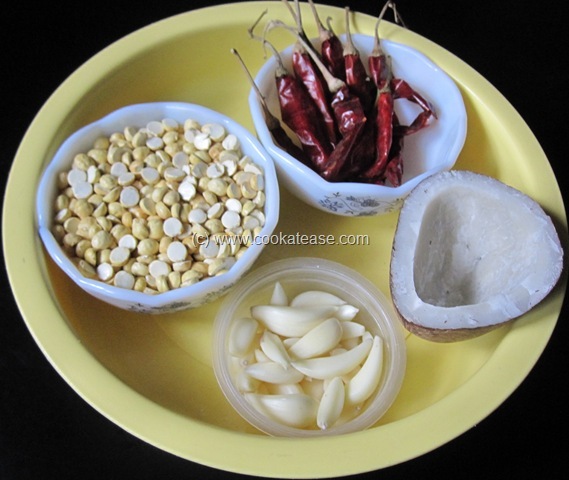 When these podis are mixed with hot steamed rice with few drops of ghee or oil it tastes divine. These podis can be kept for some months without losing its freshness. Podi reduces the working load of woman when sudden guest arrives or when time is short to cook. 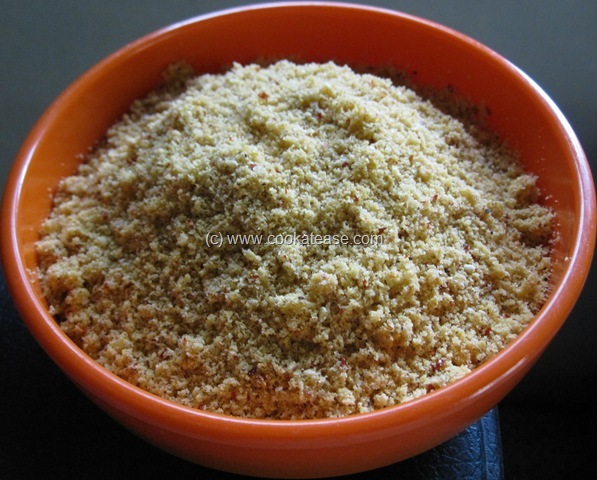 Here is Pottu Kadalai Poondu (Roasted Gram/Garlic) Podi. 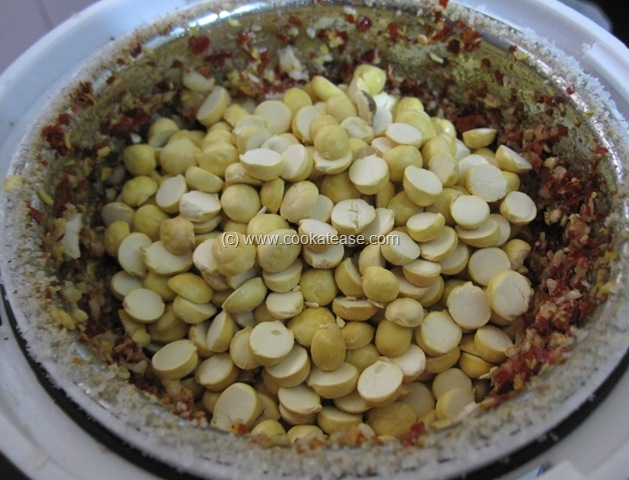 Roasted gram or chutney dal is known as Pottu Kadalai in Tamil and Garlic is known as Poondu in Tamil. 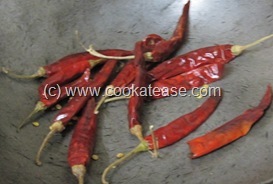 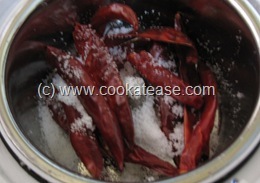 Cut copra into small pieces; put it in a mixer, pulse it for few seconds and powder it; dry roast red chilli in a pan till crisp. 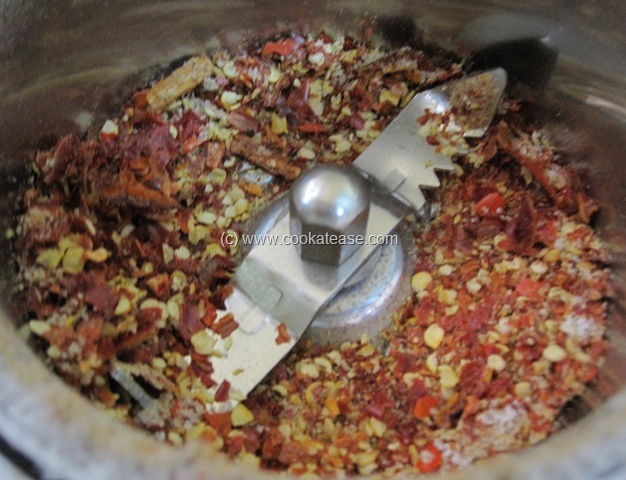 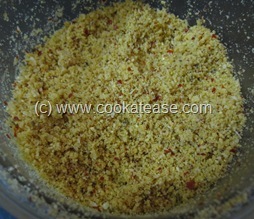 In a blender add red chilli, salt and grind for few seconds. 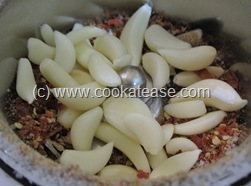 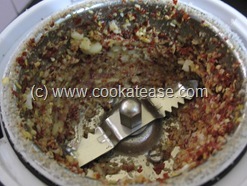 Add garlic and run the mixer for few seconds. Now add pottu kadalai and grind for few seconds. Add copra powder and run for few more seconds. Spicy Pottu Kadalai Podi is ready. 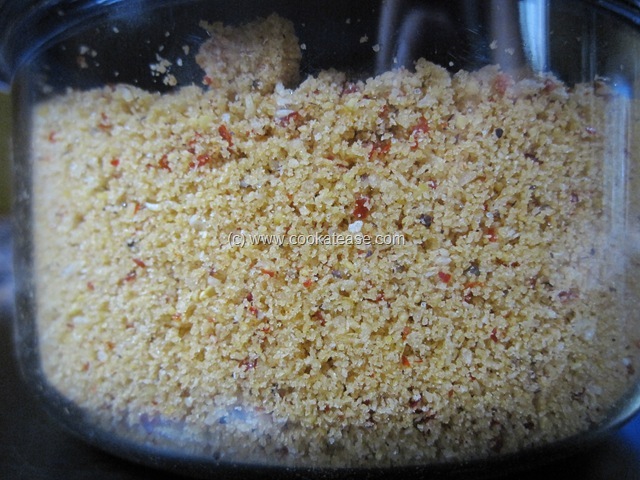 Serve it with hot steamed rice. 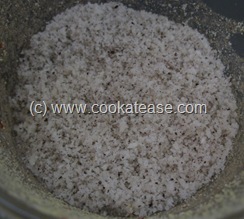 Store it in air-tight container. 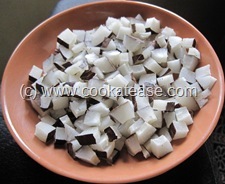 Use of copra (Kopparai Thengai) helps to increase the shelf life of podi comparing to the use of fresh coconut. 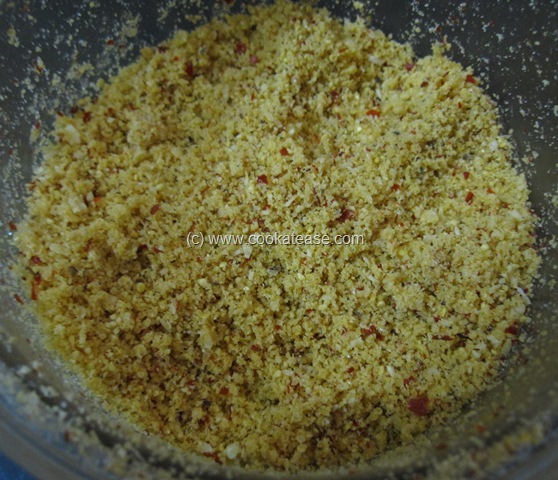 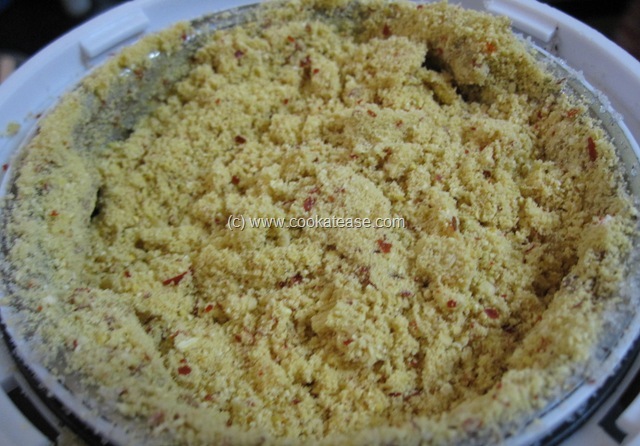 Nice recipe, very flavourful podi.. SUch a beautiful and flavourful podi,would like to have with some hot steaming rice rite now..